In our ongoing series of articles on the screen of green marijuana growing technique, more commonly known as SCROG, we’ve seen that scrogging involves painstakingly pruning and bending plants in ways that temporarily damage and stress them out. Growers recognize that SCROG plants need quality nutrition delivered efficiently, plus bountiful amounts of horticultural lighting if they’re going to live up to their full SCROG potential. 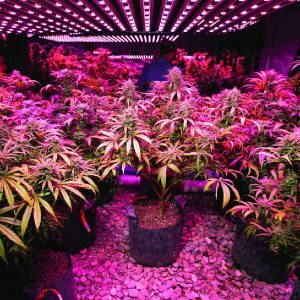 When it comes to lighting for your plants, it’s useful to recognize its importance by see lamps as photonic nutrients fed to plants through their leaves to power photosynthesis, the process that gives plants their growth energy. The value of photonic nutrients fed to your plants from grow lights is measured in terms of photosynthetically active radiation, or PAR. PAR consists of the portions of the light spectrum that are especially useful in powering photosynthesis. SCROG plants definitely love high-PAR lighting. 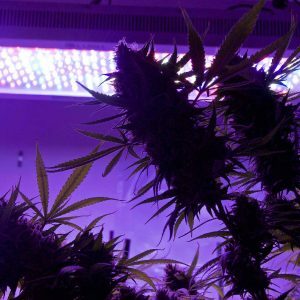 When selecting your lighting source, you want penetrating lights that work with the horizontalized physical profile of SCROG plants. SCROG gives growers less vertical space to light, yet more horizontal space compared to regular cannabis growing. 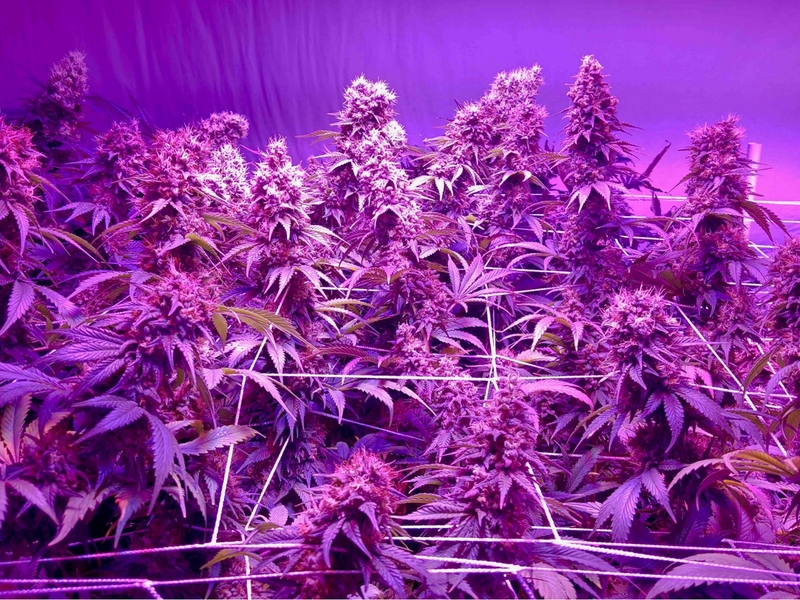 The standard SCROG lore says to give SCROG marijuana plants 50 watts of light per square foot. I tend to go with 55–60 watts per square foot. Realize also that a generic watts-per-square-foot rule has some usefulness, but it’s incomplete and somewhat misleading because it’s not just watts per square foot that matter, rather, it’s PAR per square foot. That said, you don’t just want a lot of light; you want a lot of light that has the right wavelengths for marijuana. Some grow lights throw down a lot of wattage intensity but not enough PAR. Old-school and less-expensive high-intensity discharge metal halide and high-pressure sodium bulbs can be blindingly bright, but they lack the appropriate yield and potency-boosting spikes and valleys of light wavelengths that new-generation lighting offers cannabis growers. When it comes to SCROG growing, we recommend a few specific products that offer PAR and intensity tuned for cannabis. 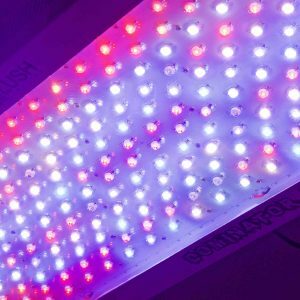 These include LED grow lights made by Lush Lighting, HID bulbs such as the Eye Hortilux Daylight Blue Metal Halide and Eye Hortilux Super HPS, and for fluorescent lighting, the PowerVEG Full Spectrum+UV. Johnson notes that SCROG growers in small, height-limited spaces do well to use Lush LED grow lights because they can be placed closer to plants and generate far less heat than high intensity bulbs. Growers worried about heat who can’t afford or are otherwise averse to using HIDs or LEDs will do well to rely on the fluorescent Eye Hortilux PowerVeg FS+UV. This amazing T5 bulb has a unique light spectrum and outperforms all other fluorescent brands and models. Please note that these are generic guidelines. Consult the grow-light manufacturer for more specific guidelines. I intuitively measure grow-light distance by holding my hand under the grow lights at canopy level and if my skin feels too hot, it means my grow lights are too close to the canopy. In all cases, have powerful oscillating fans blowing across your SCROG canopy to improve transpiration and aid in CO2 uptake. Augmented CO2 in your sealed grow-room air up to 1100 parts per million also aids SCROG plants tremendously. Always remember that light and carbon dioxide are essential nutrients for your SCROG plants, just like root-fed nutrients are. SCROG plants grow under unnaturally harsh conditions because they’ve been clipped and tied to change their natural vertical growth structure to that of a horizontal growth structure. Their roots and metabolic processes are pushed hard to provide energy and nutrients to multiple colas woven into screens. Being clipped and tied triggers hormonal and stress responses that further tax the plants. For these reasons, the plants need a customized feed program. Starting from when your feminized cannabis seeds germinate or your cuttings are rooting, you use root-boosting tactics that maximize root size, mass, health and function. When your clones or seedlings have sufficient root mass and several sets of true leaves, start your grow-phase feed program by pushing as many parts per million as you can get away with without burning your plants. You can tell you’re burning your plants if you see leaf tips turning brown. In general, I give my plants no more than 5 percent above the nutrients manufacturer’s maximum recommended dose for your plants’ age. When in doubt, call the manufacturer’s tech support people, tell them you’re doing SCROG, how old your plants are, and ask what nutrients dose they recommend. When you begin your low-stress training (i.e., trimming apical meristem and otherwise cutting your plants), every time you put the blade to your plants, give them vitamin B complex, such as the hydroponics vitamin booster B-52. When you’re ready to flip your grow phase plants into flowering phase, flush their root zone and start a new feed program with bloom phase hydroponics base nutrients Bud Ignitor and again B-52. I use B-52 for the first six weeks of bloom phase, because B vitamins are stress busters and this product also provides extra nitrogen, phosphorus and potassium that help SCROG plants lay on larger buds. SCROG gives plants the chance to make longer branches and more budding sites, so I feed them early bloom booster Bud Ignitor that’s designed to increase the number of budding sites and the onset of flowering. I use this product into the third week of bloom phase, then start using Big Bud, Bud Candy and Nirvana until two weeks before harvest. These products used together provide amino acids, carbohydrates, extra potassium, phosphorus and magnesium, and natural ingredients such as seaweed and alfalfa meal that help plants intake and process nutrients and handle stress. They also fuel bud size and resin production. The foundation of your feed program is a base nutrients product. If you’re growing in soil, you may have a harder time controlling your nutrients inputs. But you can have a successful SCROG soil grow op if you use these powerful organic fertilizers designed for cannabis. For maximum nutrients control and efficiency, I recommend that SCROG growers use soilless mix, coco coir, rockwool, deep water culture and aeroponics rather than soil. I also recommend pH Perfect hydroponics base nutrients that automatically set and maintain pH at the 5.5–5.7 sweet spot for ideal nutrients absorption. When you provide the right light and nutrients, you fuel your SCROG cannabis plants to produce luscious buds with increased cannabinoid and terpenoid percentages. This article is part of our series of SCROG articles.Take a look at our introduction to SCROG marijuana growing. 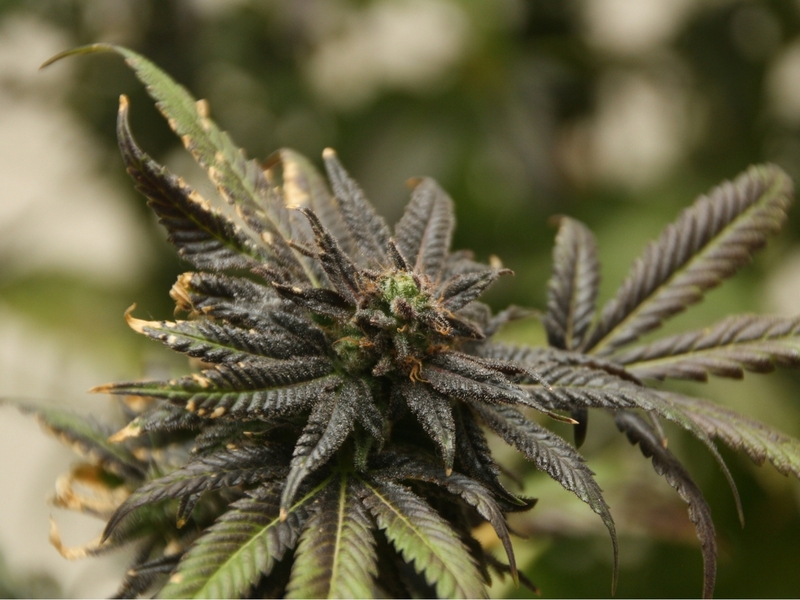 Plus, read this article to learn about supercharging SCROG roots. And don’t forget to check out professional SCROG screening devices.